The school library serves its readers for all those years that they attend an educational institution. 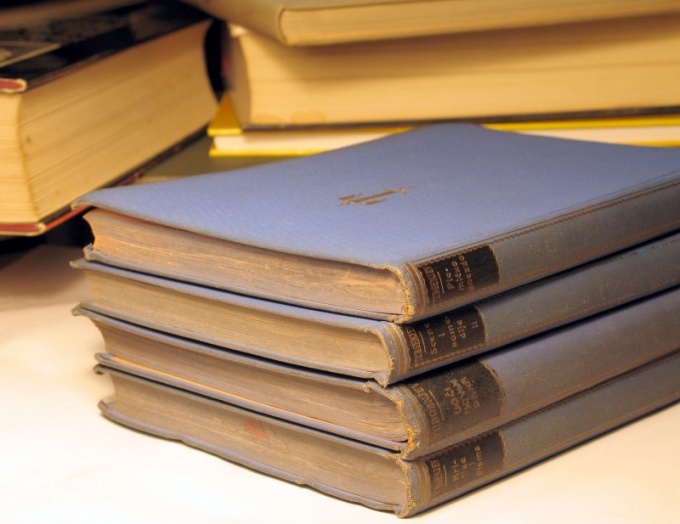 The main objective of this repository of books is to provide students with textbooks and books for reading at school. It is understood that the love of reading children are encouraged in the family and at school, she only develop and encourage. Anyway, not the last role in forming the love of reading plays the decoration the school library. Drawing paper, paints, transparent tape, toys, posters, bookcase, notice Board. Before you start to decorate the school library, try to seek professional consultation to a child psychologist. Learn how with the help of well decorated interior of the library is to attract new readers than they can be interested in. Ask him about interesting combinations of design elements, designed for Junior and senior students. Once you have a clear picture of what to look for in your library, invite the possibility of interior designer to help you bring your ideas into practice. If the help of a child psychologist and interior designer to you for some reason are not available, or do you think that will do it yourself, try to apply the steps. First, put yourself in the place of a child: what would you like to see in your school library? Maybe you need to differentiate between reality and the school library space, arranging a special entrance in the school library? For example, with a normal door in the school hallway that says "Library" will be a small vestibule, partitioned bookcases. And in one of the cabinets will open a secret door like in the movie "How to steal a million", which will lead young reader not just in the libraryand now "book Kingdom - coffee state. To pass through such slot entrance will be very interesting, and this should increase attendance at the library. If inside the library there are doors, they can be arranged in the form of covers of books in human growth. The reader will like to enter into the book and become her character. To do this, you will certainly need the help of the artist. But it is possible to involve students themselves, especially those who are good draws. Draw is not necessarily right on the door. On large sheets of drawing paper make several "skins to login and change them from time to time. Fix them in place with transparent tape. In the halls of the library put up a couple spinning racks for books and magazines where you'll regularly update the exhibition. A movable supply of books more interesting for children than books on a shelf. People are your library heroes of books, hanging on the painted images on the walls. Suitable posters films books from the school curriculum. Next to this poster you can hang a quote of someone from the classics about reading or literature. For readers of primary school age are put in a prominent place soft toys and in the clutches of the toy, insert the books - let them read. For readers of the middle classes will be "reading" the Barbie doll, robots transformers and bionics. High school students hang on the wall of the library special Board to which you will attach articles from periodicals covering the main events in the world available to student language. It can also be printouts from the Internet of interesting facts about the countries where these events occur, which, of course, broaden horizons of students. After the original doors in the library, such Board appropriately called the "window to the world." Modern library today is impossible to imagine without visual AIDS, focused on readers ' requests. Visual forms of propaganda literature can be expressed in the design of the exhibitions of new books, thematic stands, collages, to use library hand-drawn, applicative posters, colorful catalogs, etc. Despite the large variety of visual AIDS, not every library uses them for registration area reader. Problems are typically related to insufficient usable area required by the library. To the area the reader was the most informative and significant, follow some of the recommendations. In the design of the area the reader remember that filling it full of books scatters the attention of the visitors to the library. So use photo montages made with colorful illustrations. To comply with the principle of availability of information posted in the corner of the reader, create a "sponsor" area. This will make the information stand in the multilevel models, taking into account the interests of different ages of readers. Divide it into three zones: information for teachers, parents, high school students; the information interesting and useful for all categories of readers; information for beginning readers. In this area it is better to draw in different style. Position to "sponsor" the stand information on the operation of libraries, a guide (depending on number of rooms), library rules, bright is book novelties and succinct slogans, mottos and slogans that attract the attention of visitors. Turn into area of the reader of the Express-exhibition of book novelties. It can be continually updated, changing topic titles, taking into account the reader's demand. In addition, the selection of the displayed new products is affected by the month of the organization of the Express-exhibition. For example, in may - before the summer recess - possible demand for software works in literature. Depending on the purpose of the hall, which is the area of the reader, can make thematic shelves with materials, for example, on local history, in various parts of the curriculum (dictionaries, encyclopedias, textbooks, etc.). To comply with feedback from the reader, select the area the place where a visitor can leave comments, make suggestions, Express gratitude to the library staff, etc. Because the library often conduct public themed events, check the neighborhood information and exhibition stands area of upholstered furniture and coffee tables. They can put magazines, Newspapers, brochures. Problem read, more accurately expressed complete lack of interest in reading, can not affect the further development of society. 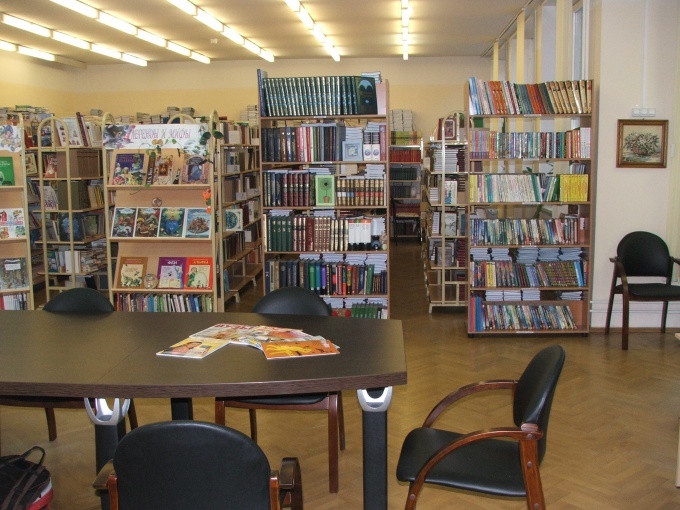 Rural library-tradition is one of the main places of leisure. But its design must not only keep up with the times, but also take into account the specific needs of rural residents. Leisure agriculture and leisure in the city are always different. Only in the last decade with the introduction of computer technologies the differences are smoothed out, the place of leisure activities concentrated in the area of the computer that rural students spend no time less than their urban peers. The percentage covered by the global computerization of the rural population of middle-aged and older disproportionately less compared to urban residents. And the role of the library in shaping cultural and spiritual development remains the leading. With the acquisition of the Fund's problems no longer exist, and the library is able to satisfy any taste. In contrast to the entertainment of a spoiled city dweller, rural resident of leisure activities is limited to budget administration, and the library continues to perform the functions of cultural and leisure center. In this regard, the librarian faced with the task to arrange the library so that it meets modern requirements, first, and continued to involve the public as a cultural center second. There are traditional forms of design of any library, and it makes no sense to invent something new for the presentation of books, when there is a book exhibition. Should pay more attention to the creation of a comfort zone. Not the fact that the peasants can find free time to read a book at home, but in the library you can create a library atmosphere where you will want to linger. Reading room in its traditional form is associated with the class audience and do not give rise to informal communication. And because communication – this is exactly why modern man goes to the library. Most likely, today's younger generation is lost as readership, although there are exceptions. But the children of preschool and younger school age you can still be involved in the reading process, especially as the library for them now is a more exotic phenomenon, rather than a computer. A special area that focuses on this category of readers not only for reading, but can become a designer bright spot in the overall interior. If financial possibilities allow, the equipment library, computer copiers and Internet access, not only to meet the information needs, but use the graphic editors to design events and exhibitions.